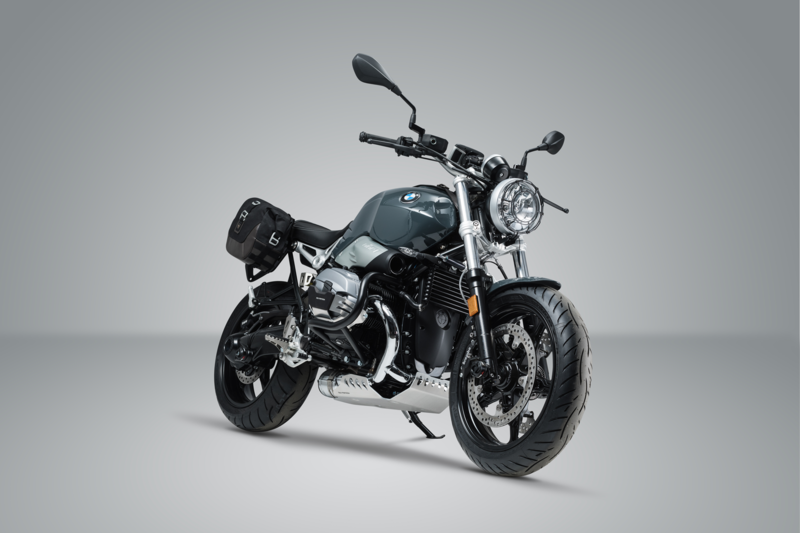 German accessory manufacturer SW Motech have released a range of accessories for the BMW R nineT Pure. Starting from the front SW Motech have a steel grill headlight guard in powder-coated steel which costs £134.99. The headlight grill joins a host of protective accessories, including an engine guard constructed from 4mm thick brushed aluminium which costs £178 and steel crash bars which come finished in black for £177.99 and stainless steel for £226.99. For additional piece of mind SW Motech also offer cylinder guards to protect the valve and spark plug covers priced at £158.99 per pair. 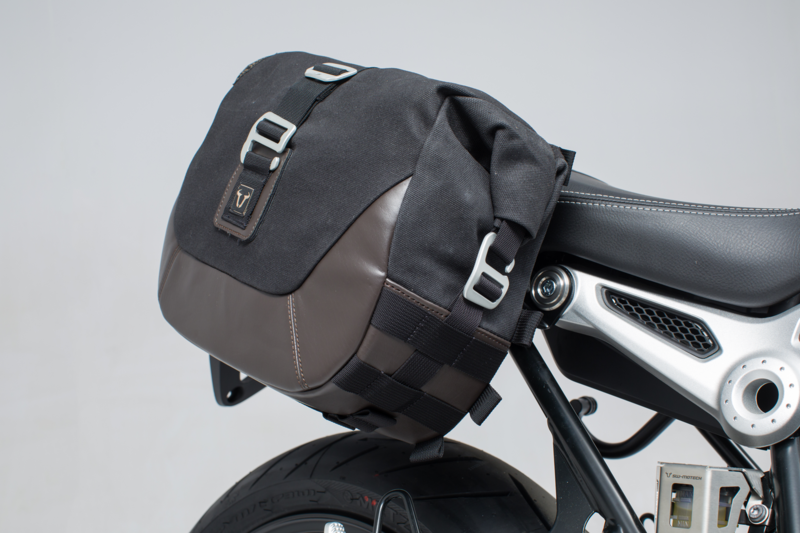 If you plan on spending a few nights away on your R nineT Pure then SW Motech have also released a pair of 9.8 litre panniers complete with mounting kit priced at £371.99. The bags are constructed from waxed canvas and Napalon synthetic leather to give them a vintage look, while PU coatings on the inside, waterproof innerbags and external rain covers keep the worst of the weather out. If you're after a bit of adjustability with your riding position, SW Motech also offer adjustable footpegs with removable rubber contact pads for added grip and extra comfort priced at £125.99. 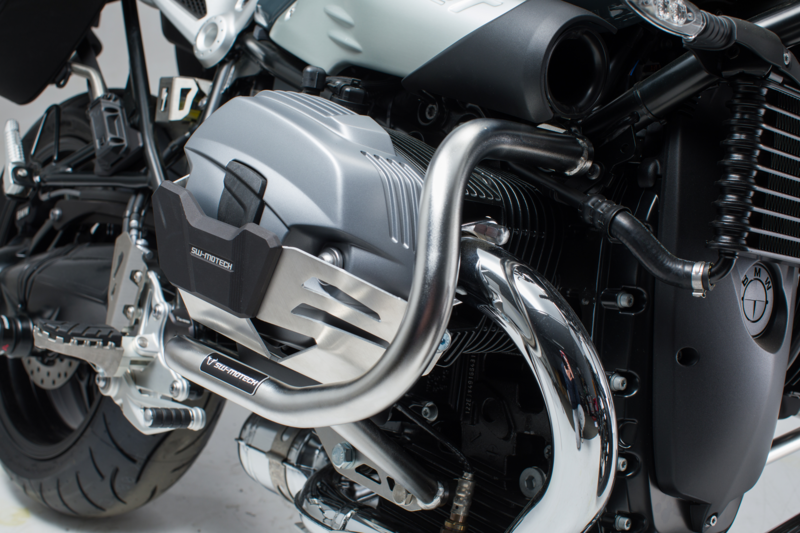 Other accessories for the R nineT Pure include mirror extenders, exhaust header pipe protectors and GPS mounting kits. Head to www.motohaus.com to see the full range.